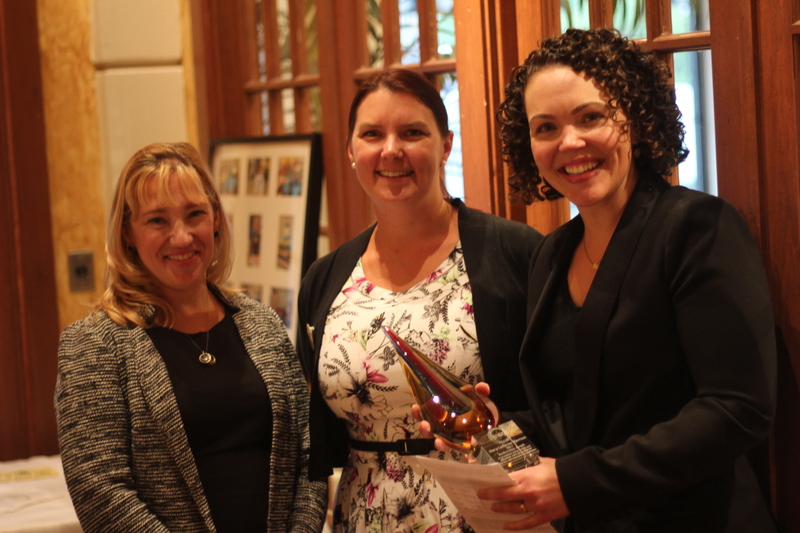 Mary-Catherine Harrison (right) after being presented the Bookwoman Award by Shannon Jones Janeczek (left), President of the WNBA Detroit Chapter and Tanya Davidson (middle), WNBA Detroit Award Chair. The Women’s National Book Association was founded in 1917 and works to promote reading and support the role of women in the “community of the book”. The Detroit Chapter of the WNBA, founded in 1966, organizes local events related to books, publishing, and reading and supports non-profit organizations that promote literacy and reading, including, in 2015, Rx for Reading Detroit. Tanya Davidson, Award Chair for the WNBA Detroit Chapter, introduces this year’s winner. Mary-Catherine Harrison speaks about the history and mission of Rx for Reading. Mary-Catherine Harrison is the 17th recipient of the Bookwoman Award, which was first presented by the WNBA Detroit Chapter in 1991. The award honors Michigan women who have made significant contributions to libraries, reading, writing, or publishing. Previous winners include Rochelle Riley, columnist for the Detroit Free Press and tireless advocate for literacy, Colleen Kammer, co-owner of the independent bookstore BookBeat, Naomi Long Madgett, publisher, educator, and Detroit Poet Laureate, Terry Blackhawk, poet and founder of InsideOut Literary Arts Project, and Debra Bonde, Founder and Director of Seedlings Braille Books for Children. Both Rx for Reading and Seedlings Braille Books for Children work to expand access to children’s books. 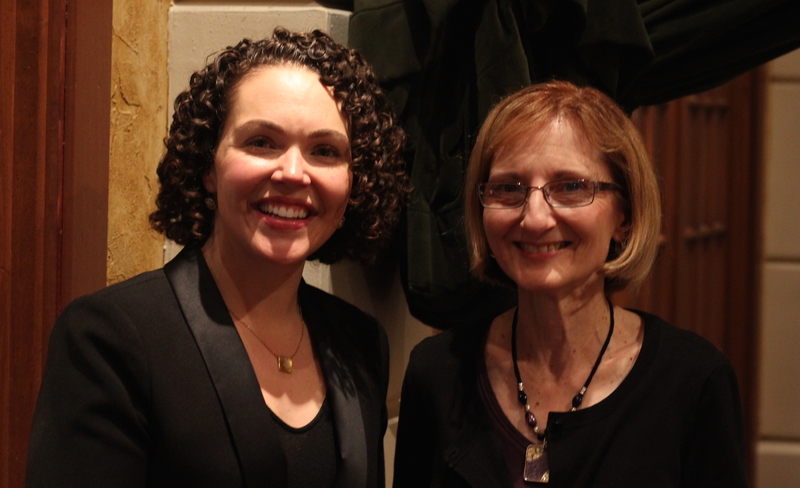 Here, 2015 Bookwoman Mary-Catherine Harrison with 1992 Bookwoman Debra Bonde. 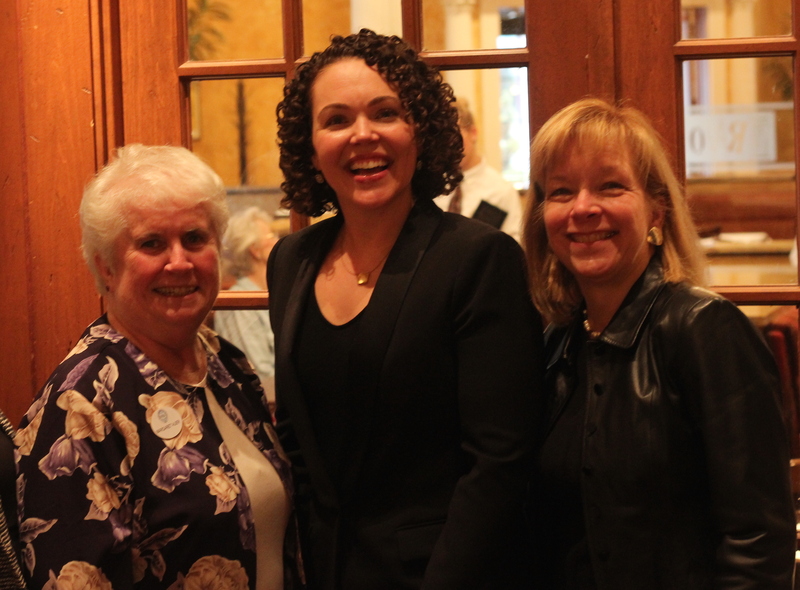 Mary-Catherine Harrison with Margaret Auer, Treasurer of the WNBA Detroit Chapter and Dean of University Libraries and Instructional Technology at University of Detroit Mercy and Pamela Zarkowski, Provost and Vice President of Academic Affairs at University of Detroit Mercy. 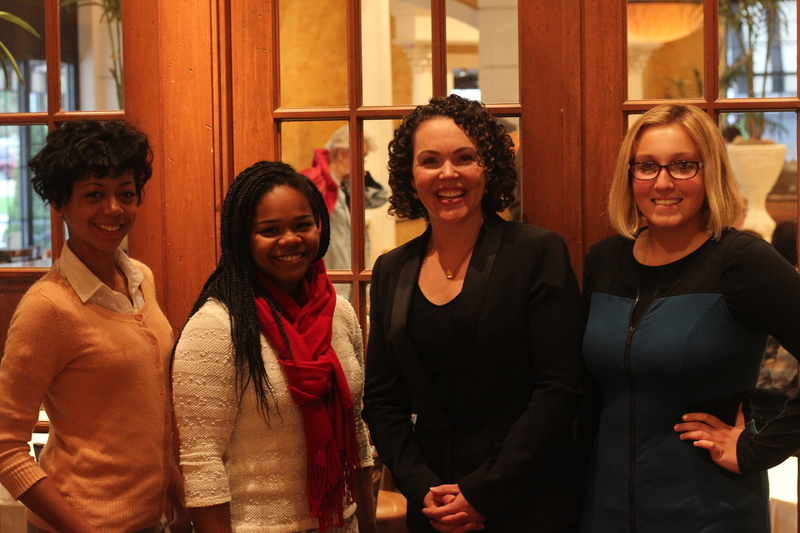 Mary-Catherine Harrison with Rx for Reading volunteers Renesha Smoot Grafton, Maya Faison, and Emily Auten. Thank you to the Women’s National Book Association and WNBA Detroit for this wonderful recognition of Rx for Reading and our work on behalf of children’s literacy.